Parking is free after 17.pm, otherwise metered at Lunch. We can organize private catering with tailored quotations. Classic French restaurant Le Vacherin is available for full venue exclusive hire for up to 80 people seated or 90 for drinks and canapés. For smaller groups we have a semi-private dining room, accommodating up to 34 guests. 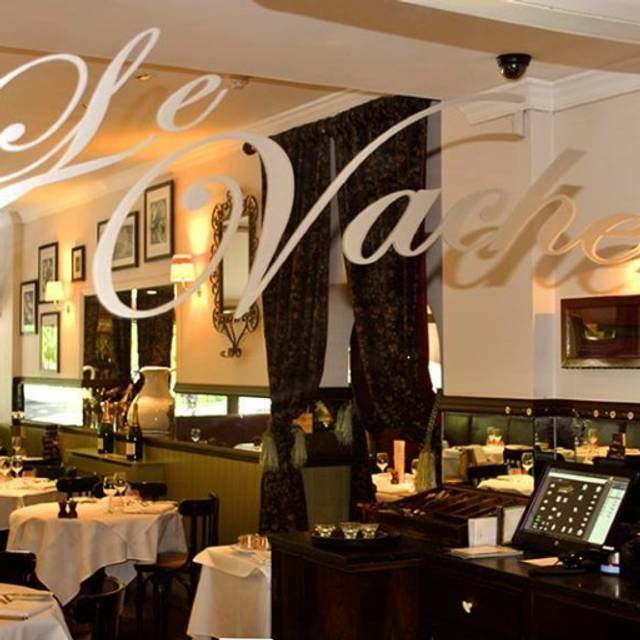 Le Vacherin is a Classic French bistro with a Parisian style, serving regional dishes. 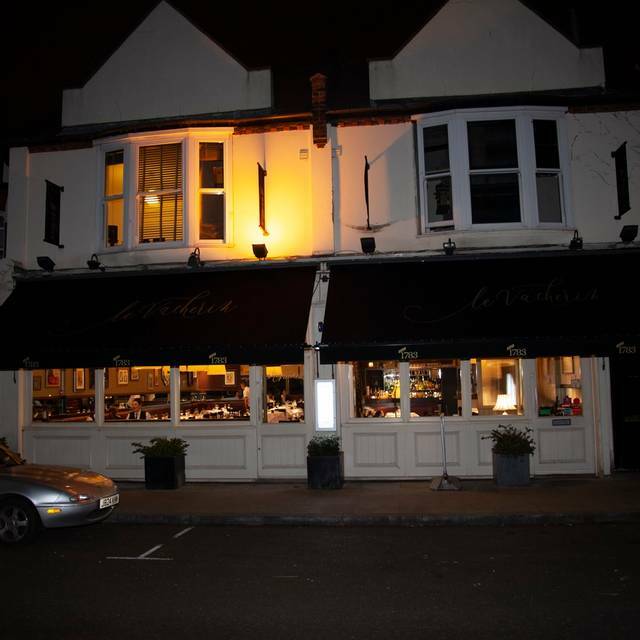 The restaurant caters for 72 covers, with a private room if required providing for parties of any number. It is a non-smoking restaurant and welcomes children. 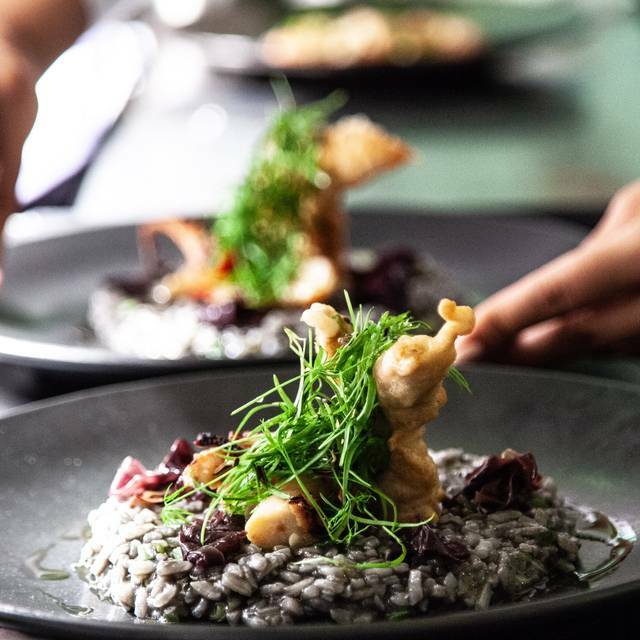 It currently holds two AA rosettes, it has been voted by Zagat 2014 as 5th best French bistro in London, holds two forks and knives on Michelin guide. 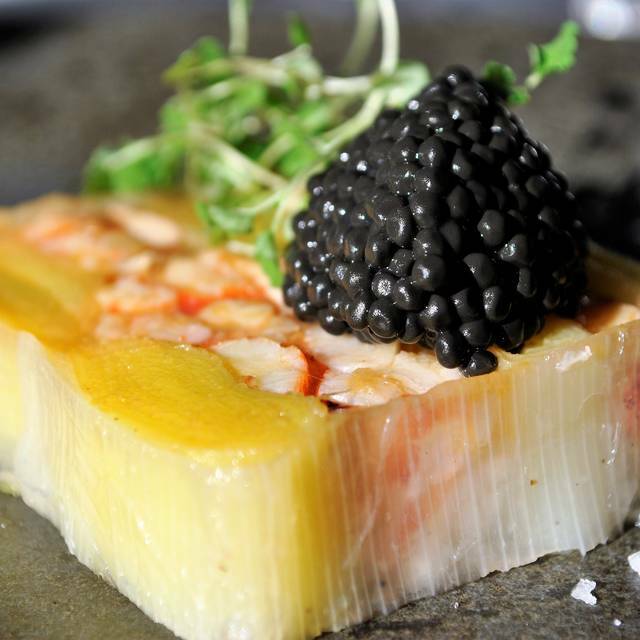 5 courses menu served with a chilled glass of Champagne. 5 courses menu served with a chilled glass of Cremant de Bourgogne. 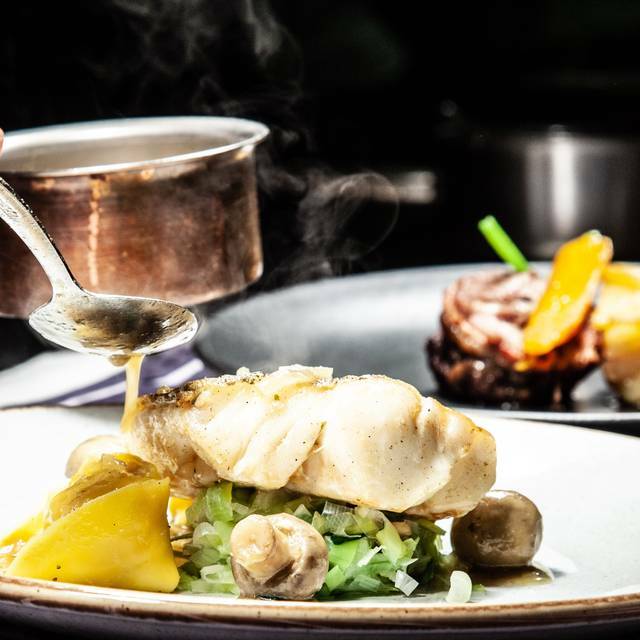 3 courses from the Sunday Lunch menu, priced at £30 per head, with the offering of a bottle of Prosecco if there is a minimum of 4 people seated at the table. priced at £30 per head , bottle offered if only 4 covers and upwards have booked. Price of the offer: £30.00 per head. Very dated menu and decor. Despite the reasonable prices, the food is just badly executed and requires a bit more thought. I can see the flavour profile they’re going for but the portioning and plating is not conducive to that profile. Wine list, while reasonable, requires an overhaul and simple varietal stemware would be a welcome touch. Tables unturned on a Saturday night showed that something isn’t going right. I do think they have great potential and apparently there is a new kitchen team so let’s hope they can inject some much needed energy. The waitress that served us was exceptional however the manager lacked the same enthusiasm. 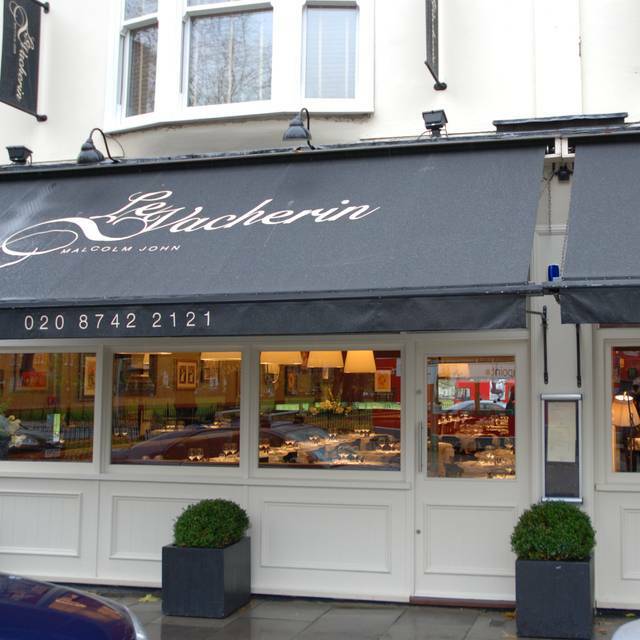 If you want a restaurant with excellent food and superb service you would not find anywhere better than Le Vacherin.. 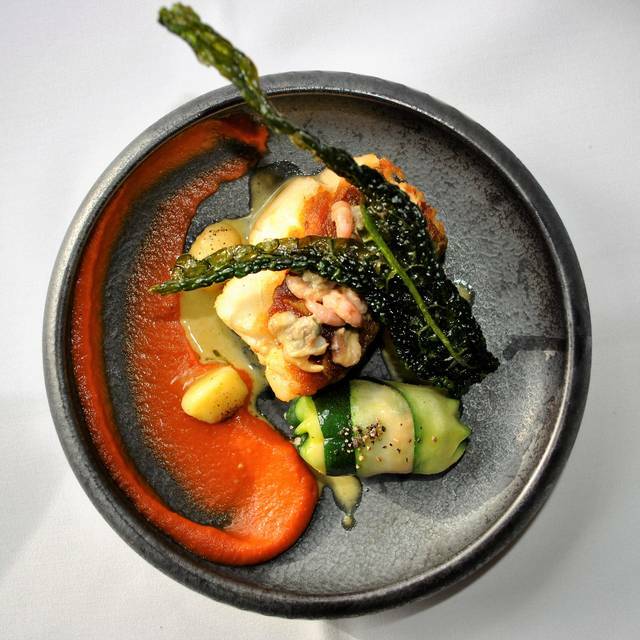 The choice on the menu is excellent with a wide range of good food and beautifully presented. As always Le Vacherin never let's me down for Sunday lunch or Lunch, Dinner. The service was good but very slow. The first course was awful. My main was OK my wife was disgraceful. The ambience was very pleasant which made the food even more disappointing. Very nice lunch set in a cosy place ! We enjoyed it a lot ! Best kept secret. Food was amazing accompanied with great atmosphere. To top it off the service was exceptional! What a pleasure to go to a restaurant where they understand how serve their customers. Food and drink arrived and disappeared seamlessly, with perfect timing and without unnecessary fuss or familiarity. Great atmosphere and in a full restaurant the noise level was still acceptable. Wonderful food with a good choice including vegetarian. Will definitely be back! Staff were just perfection! Ambience was excellent. Food very good. First visit and very pleased. It was quiet (nice) but all round the experience was excellent and we will definitely return. As always very good value for really interesting French-style dishes. Discreet service which is never intrusive. Had a fixed menu offer (3 coursed plus a glass of champagne at £42 pp) & another main for my son, so becomes pricey with service & extra glass of champagne. Goats cheese starter, game pate & steaks all nicely done. Would recommend it. Well worth it though for a special occasion - it's much more fine dining than your average weekend meal. A group of us went here for lunch today for my mother-in-law’s birthday. What an awful experience. My daughter is coeliac and despite telling the waitress, the salmon my daughter ordered, which was shown as gluten free on the menu, arrived at the table with a breadcrumb crust. The kitchen were unable to alter any of the dishes to cater for her. It appears that no actual cooking takes place in the restaurant and the dishes arrive at the restaurant ready-prepared. Not what you expect for the price. In general the service was dismal, with dishes forgotten and staff rude, disinterested and unhelpful. There are plenty of other places in Chiswick - go there instead! We went to Let Vacherin for our anniversary. It was a super time. Good excellent food, nice place all round. Very expensive Valentines meal. Just too much food. Could not eat it all. Don’t drink so declined included champagne- but was charged for a juice alternative. A bit mean. £188 for two with no wine or coffee. We have been going to this restaurant since it opened around 12 years ago and have never been disappointed. The food was delicious and the manager, Marco, and staff very attentive. Our friends from Somerset really enjoyed their evening and thought it was excellent. Friendly attentive service, good range on Prix Fixe menu, tasty dishes, excellent house red, extra treat for my mother's 94th birthday (see photo) - wish this was my local bistro. Still, definitely worth another visit before next year! Been going for years. Keep returning because it is simply the best value and well managed restaurant in West London ( and after 55 years of eating out locally I know ). Attention to detail, polite staff, starched linen cloths and knapkins, great deals and consistently excellent food make it so. The food and service was absolutely amazing. We arrived and the team of wait staff and manager were impeccable. I would highly recommend for any special occasion. I can't wait to return! We have been going to Le Vacherin since it opened and have never been disappointed. We've taken various friends who also think very highly of Le Vacherin. We also feel the wines are chosen with great care and only once have we felt a bottle was overpriced. We never tire of an evening at Le Vacherin. Food was good but I think priced a level higher than where it should be. Definitely some aspiring talent in the kitchen, judging by the starters, however I wonder if there's the right HC for that person to flourish. Service was far too fast, we had a glass of white with our starter and had hardly sipped it before our meaty main was presented (let alone our bottle of red opened). Had to request fresh bread as the first basket served was not! Feedback well taken on board and everything put right with a smile, so overall a lovely birthday evening for my wife. A pleasant restaurant with a genuine French feel to the decor. The service is very cheerful and polite, the food is variable you just have to know what to chose. Certainly to be recommended for a civilised evening out in Chiswick. Excellent value set lunch menu. Good service. Well spaced tables. Much promise but really failed to deliver. My main of brill was small and accompanied by the most underwhelming tomato sauce - poor seasoning and very little flavour. We like to have dinner at this wonderful restaurant. We attracted by its excellent service and a very cozy atmosphere, as well as exquisite delicious food. As always, this was a real treat. Le Vacherin staff are attentive and the food is imaginative. It was pleasing to see it so full at lunch time. We had a fabulous evening on New Years Eve. Great party atmosphere and as always the food and service was excellent. We spent £80 per head this Christmas day for a really really bad meal. We went last year for Christmas Eve and the food was great. I don't know if there has been a change in management, but this time the food was diabolical. My suckling pork was full of cartilage (and a really tiny portion). The supposedly medium/rare steaks were practically mooing and the vegan main option was a plate of plain Puy lentils with some chopped tomato on it. Definately not worth the money - we will never be going back there again. very disappointed. 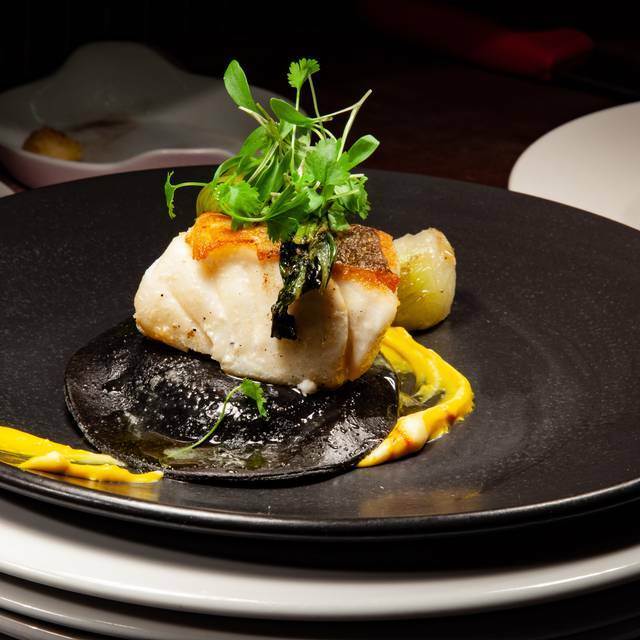 Wonderful food, relaxed atmosphere and attentive service. Outstanding value via the Groupon offer (prix fixe lunch, plus a glass of wine and coffee). The cooking was of a very high standard and the portion size - starter, main and pudding - was perfect, even generous. I used to really enjoy dining here, but I feel that the service and food quality has declined over the years. It's fine for a business lunch, but I would not recommend it anymore for a special occasion. Always welcoming neighbourhood restaurant. Staff very warm, helpful and courteous. Good service throughout. When our first choice of main course had run out, they gave us another one without charge. This was an unexpected nice surprise. Food itself is very classically French - lots of rich flavours and cheeses. 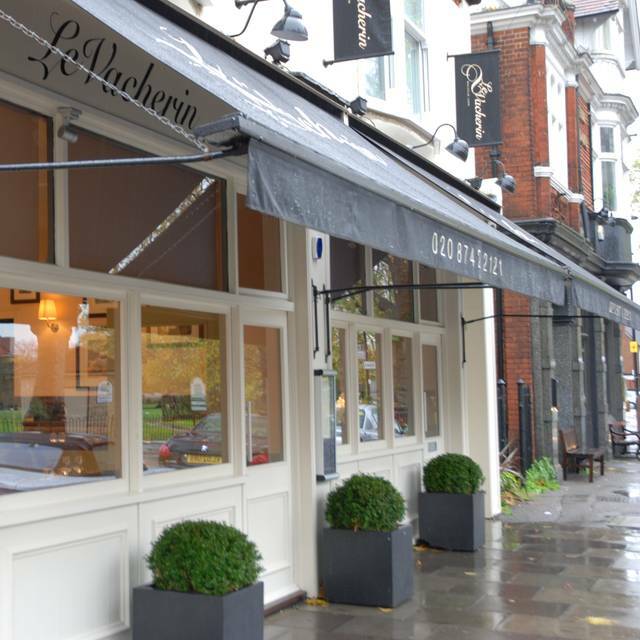 Le Vacherin is one of our favourite local gems. Good food, good service, good atmosphere. Not too pretentious yet quality dining. They have a la carte, and fixed menu. Wine menu has some nice choices. Glad to go there. Side order of fries arrived tepid and stuck together. We sent them back and refused a replacement.